Parker look ed in at the beach and there was a guy in a black suit standing there, surrounded by all the bodies in bathing suits. He was standing near Parker’s gear, not facing anywhere in particular, and he looked like a rip in the picture. The hotel loomed up behind him, white and windowed, the Puerto Rican sun beat down, the sea foamed white on the beach, and he stood there like a homesick mortician. "...he looked like a rip in the picture." Brilliant stuff. And actually fairly atypical; Westlake tended to begin his Parker novels right in the thick of the action, which is possibly something he picked up from Rabe. As has been stated before by myself and others (including Westlake), Peter Rabe was a big inspiration for Westlake. 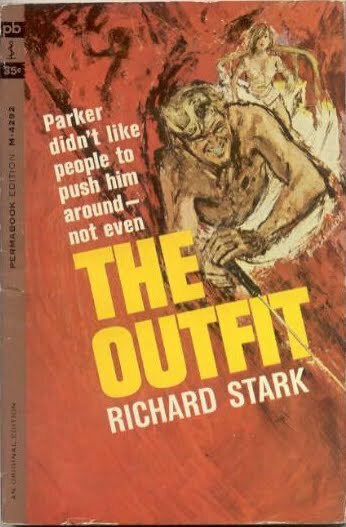 And not just on the Richard Stark/Parker novels either; I think you can see Rabe's influence across Westlake's books, from the taut hard-faced crime setting of the Parkers to the snappy dialogue of the Dortmunders. But where you can see it most clearly is in the opening lines of the Parker novels. Like Rabe, Westlake/Stark almost always begins his books right in the thick of it. 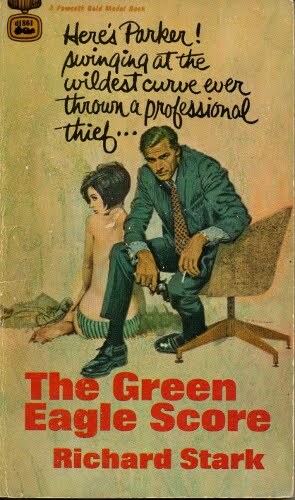 The Green Eagle Score and the preceding Rare Coin Score (1967) may both start on beaches, but other than those, the Parker novels usually begin with Parker in motion, either doing something or sometimes engaged in an act of violence. The first eight and the last eight Parkers all start with "when": "When the woman screamed, Parker awoke and rolled off the bed" (The Outfit, 1963); "When the bellboy left, Parker went over to the house phone and made his call" (The Score, 1964). (Handily, there's a list of Parker opening lines here.) Even those that don't start with a "when" still have Parker in action ("Parker jumped out of the Ford with a gun in one hand and the packet of explosive in the other" – Slayground, 1971). When the road flattened out towards Albany, Daniel Port started to drive faster. Now that could have come straight out of a Parker novel. There's the opening "when"; there's the character's name; and there's also that comma right in the middle of the sentence, breaking it in two like a hinge. 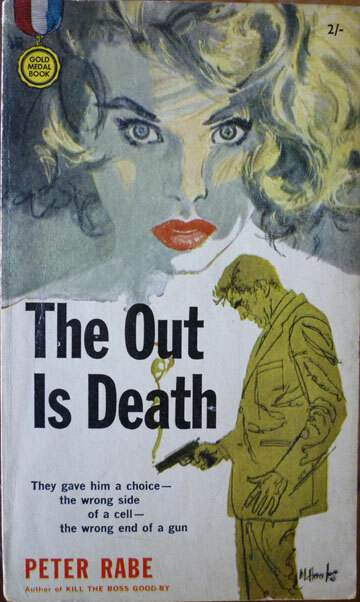 Damned if the Stark/Parker template isn't set right there – three years before the first Parker novel. Great find. Very nice analysis. I'd love someone to do a real biography on Westlake and get deep into his writing influences and techniques. He has talked about it a lot, but never in the kind of depth where we'd get things like what you just posted. Also, I need to get my hands on Rabe's other books. I've only read one so far, Journey Into Terror which was good but ultimately a bit soft. There's that essay at the start of Levine, which is definitely worth checking out, but yeah, has anyone even written a Westlake biography? That's a challenge that's gotta be met. Dig My Grave Deep. 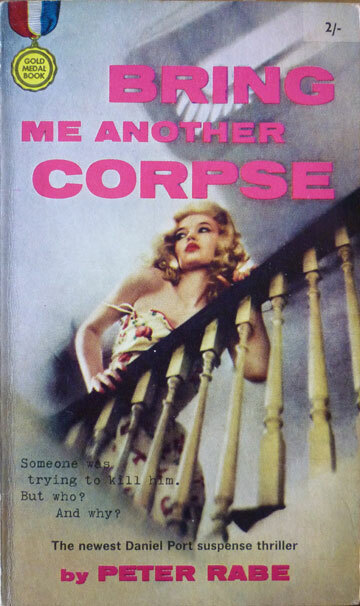 You can get copies dead cheap on Amazon or AbeBooks, first edition Gold Medals. I promise you you won't be disappointed. On it! I put it on my hunting list.